Encore is a simplified search experience! Just enter the title, author, or topic you are looking for and click the Search arrow. Encore will search every possible field for the words you enter in the search box: author, title, subject heading, summary, and more! 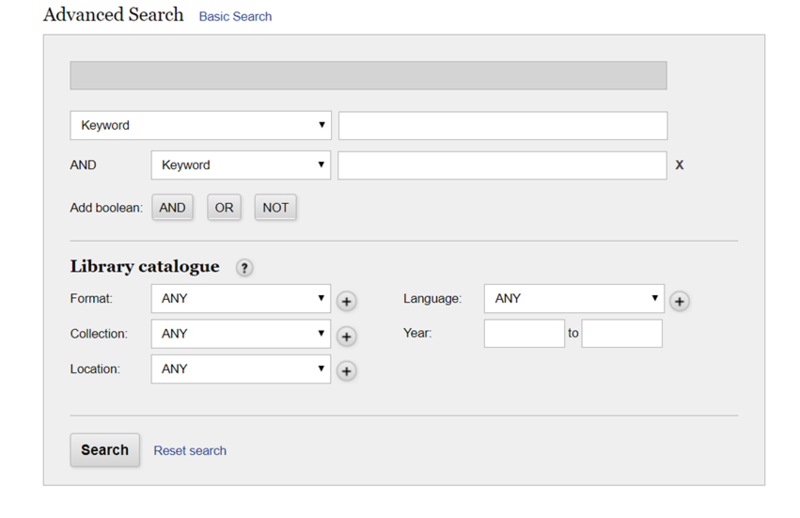 As in our Classic Catalogue, Search Results are sorted based on Relevance. To see the most recent results first, click on Date. This will show you the most recently published materials related to your search. For an alphabetical listing, click on Title. You can remove filters you no longer need to change your search results. To remove your filters, just click in the checkbox and wait for the page to reload. You can also remove filters by clicking on the X beside the filter under Current Refinements. To remove all filters at once, choose the Clear All option. You can place holds directly from your list of search results by clicking on the Request It button. After logging in with your barcode and PIN, you will be asked to select which branch you want to pick up the item from. Once your hold as been placed, a confirmation notice will appear next to the title. My Cart is a tool for temporarily tracking Library materials. You do not need to be logged in to add items to a cart. Just click on the shopping basket under the Request It button to add items. Using the Filters, you can complete many aspects of the Advance Search in our Classic Catalogue in a simple Encore search. However, the Advanced Search is still an option. Enter search terms in the white fields and use the drop down menus to choose between Keyword, Title, Author, and Subject searches. 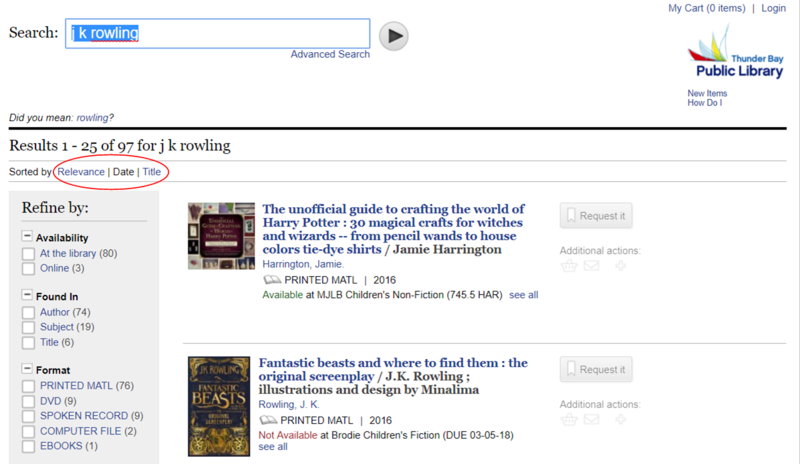 Click on the X beside the search and then click on Add boolean to change the boolean operator from AND to OR if you are searching for books on cats OR pets; or from AND to NOT if you are interested in materials by Rowling but NOT Harry Potter. Under the Library catalogue section, you can use the drop down menus to choose between Formats like DVD, Magazine and Spoken Record; Collections like Audio Books and the Children's Collection; Languages like French, English, and German; and even enter a publication date Year range. Click here to learn about My Library Account!